Welcome to HealthConnection with Dr. Robert J. Tozzi. In medical care, costs are increasing and treatments are burdening us with complicated solutions that may be worse than the illness. This website was developed to provide individuals and families with current, common sense information that improves health, lowers the cost of care, and ultimately, simplifies our lives. 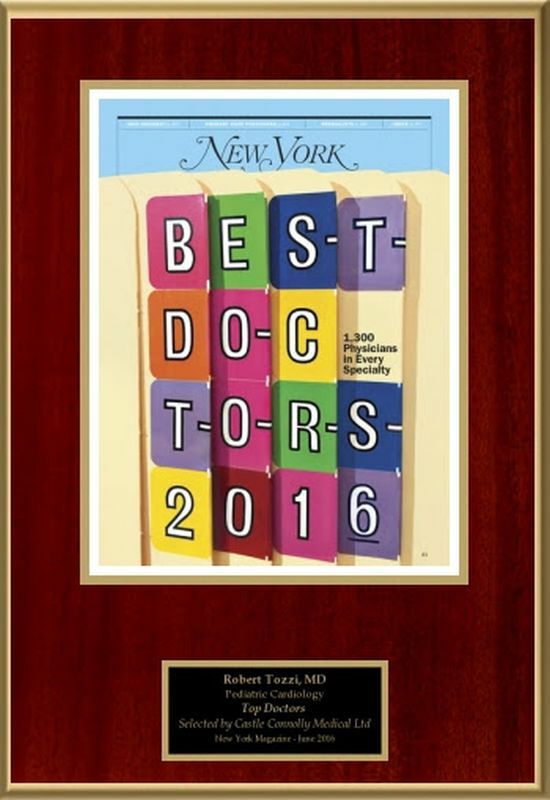 Dr. Robert J. Tozzi was once again honored with this peer-nominated and physician-researched award, selected as a Castle Connolly Top Doctor® as included in the New York Magazine roll-call of Top Doctors 2016.